It’s another gorgeous autumn day here in Vancouver. Autumn is typically a favourite season for us, with that magic combination of blue skies, cooler temperatures and the smell of leaves, wood-smoke and comfort foods like homemade soups and stews, all rolled into one. It’s a return to wearing our jeans, cosy wool sweaters and leather boots. We’re looking forward to spending some time playing outside with our students tomorrow as this amazing weather continues. There’s been a lot of talk about play lately. The Vancouver Sun recently reported on a study by Dr. Denise Buote for the North Shore Community Resources Society, that North Shore neighbourhoods are part of a trend that found young children to be at an “increased risk of struggling at school.” Factors included a lack of opportunity for play, increased time spent on technology and structured activities, and over involvement by parents in activities children can, and should do, independently. The study revealed that approximately 30% of those children entering Kindergarten were not developmentally ready; thus, did not have the school readiness skills to be fully ready to learn. Since 2011, Kindergarten children at Ridgeview have been attending a full-day program along with the rest of the province. In the five years previous to that time, Christy and I job-shared two half-day programs. Many of those children in the morning program would stay to play after school with their friends and parents would have an opportunity to chat and get to know one another; others would go home for a nap. In the afternoon class, sometimes students would come early to play and eat their lunch on the playground before their 12:30 start or stay after school. Sometimes a play date among several friends might be arranged. It’s not to say the children and parents do not do some these activities today, but it certainly seemed less rushed. In an effort to provide more unstructured playtime for our students, we have built it into our program through Centre Time, which we have twice a day, and throughout the subject areas. Our Centre Time is an opportunity for the children to choose their own activities, form their own groups, let their imagination take flight and use the language of social play. We observe incredible collaborations between groups of children building with Lego, blocks and creating puzzles. 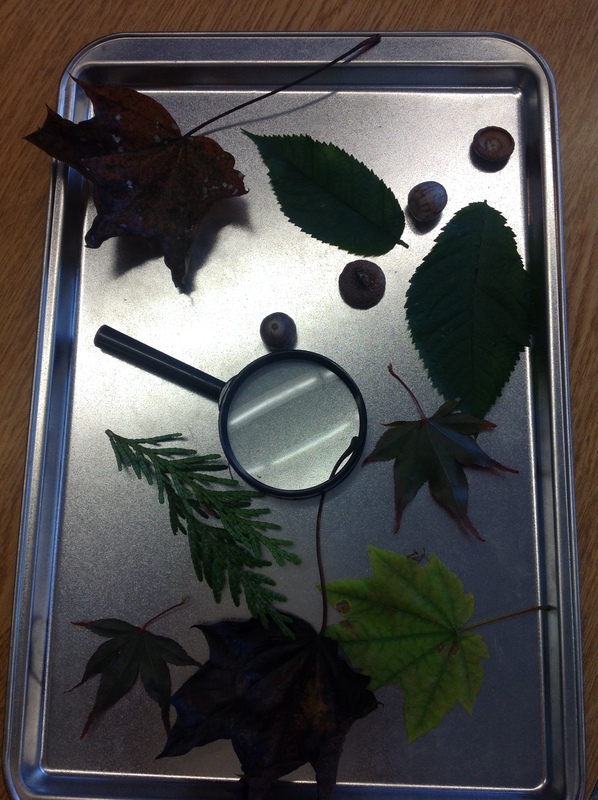 The children display their natural curiosity whether exploring found objects in nature with a magnifying glass or in their thinking as they learn to ask powerful questions. 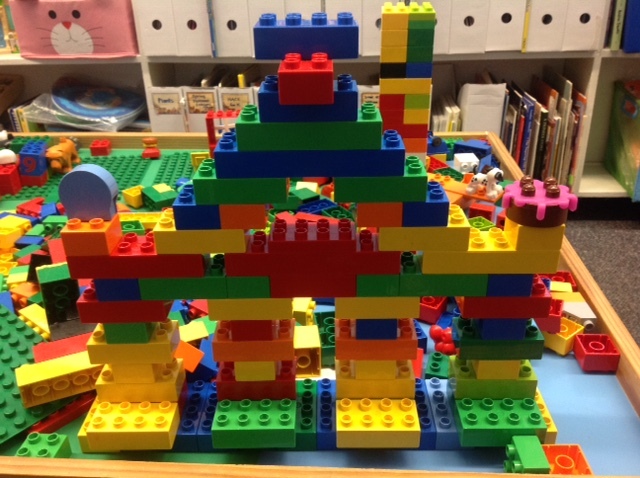 They exercise their imaginations writing books and designing artistic creations at the Imagination Station; or creating an elaborate social play with friends in the House Corner. 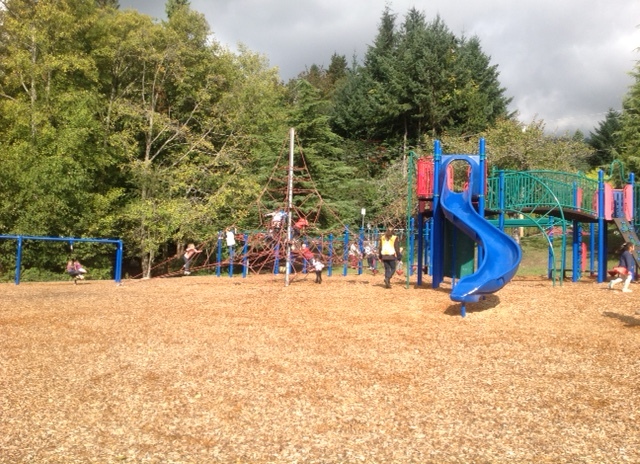 The children love their outside recess time on our beautiful playground. We’ve fortunate to have a Principal who understands the need for our little people to have unstructured play time on their own, and has reallocated Teaching Assistant time away from the office to Kindergarten supervision. As a result the Kindergarten has their own morning recess, with adult supervision, at a time separate from Grades 1-7. With our school population of 415 students, this is significant. Our children play with just Grades K-4 at lunch on the playground, and we have our own recess every afternoon, supervised by Christy and myself. We could never have done this without the support of our staff so naturally we are very grateful. Although we will eventually join the rest of the school for our breaks later on this year, we are working hard to meet the play needs of our littlest learners. We know that more and more children every year in Kindergarten are becoming very tech savvy. We realise this through the information they share such as the television shows they watch, the number of children who have their own iPads and mini-iPads and their familiarity with apps. We can only conclude that with the amount of time they spend using technology, that they are not doing something else. Although it might seem like they are “playing,” the reality is that the children are being entertained through the rapid stimulation of their brain. They are not using their brain in the same way they would if they were engaged in outdoor pursuits, dramatic play, reading a book, painting, dancing or listening to music. We know this is only the beginning of a larger discussion about play and young children. This could be the moment for everyone, from parents to schools to our community resources, to come together for the betterment of all families. This entry was posted in Play by thekinderteam. Bookmark the permalink.